The Quantalytics H-Box® is network security and web application security testing device, containing one of the most comprehensive collections of network penetration and security testing tools available today. In addition to its breadth of scope, the H-Box is an ultra small form factor, ultra-low power server. 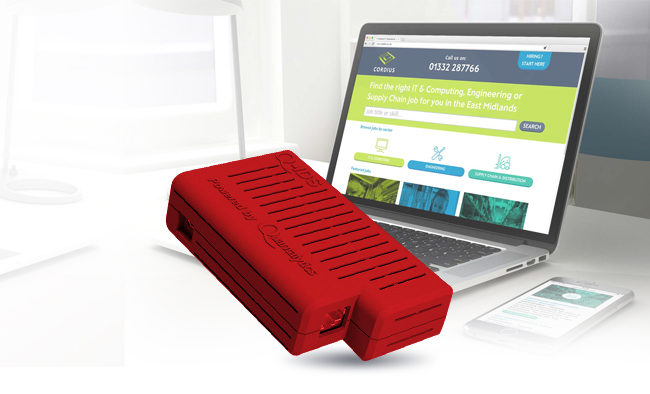 The H-Box can be installed on a network for regular testing of vulnerabilities as changes in the network and its peripherals occur over time, or used as a portable device for consultants to test security risks, including WiFi and Bluetooth communication. The H-Box has a 1000 mbps (gigabit) NIC LAN port, WiFi (b/g/n) and Bluetooth 4.0. The H-Box also supports SSH via Security Certificate rather than just password protection. We can provide for SSH two-factor authentication using Google Authenticator. VNC access to the desktop is performed via SSH without relying only on VNC's built-in encryption. The H-Box has Webmin installed for basic server housekeeping tasks.